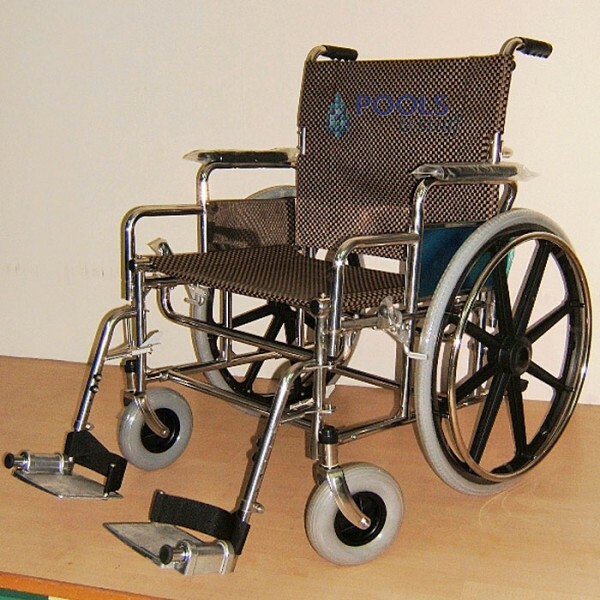 Is the stainless wheelchair compatible with a bromine pool? 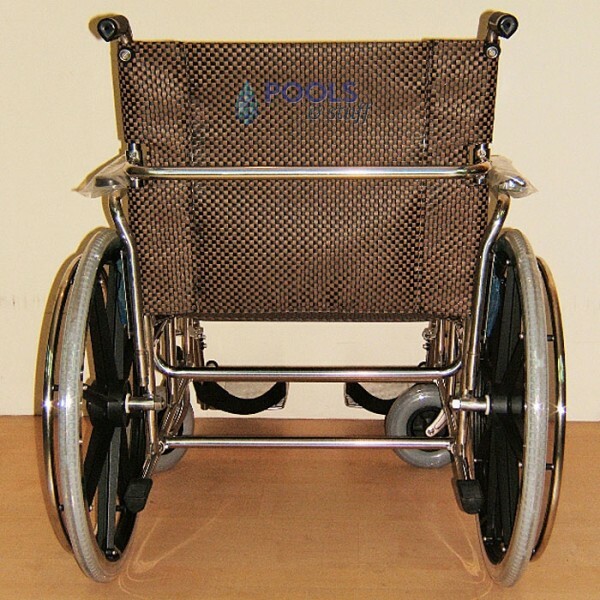 Yes, the stainless wheelchair would be okay in a chlorine or bromine pool. 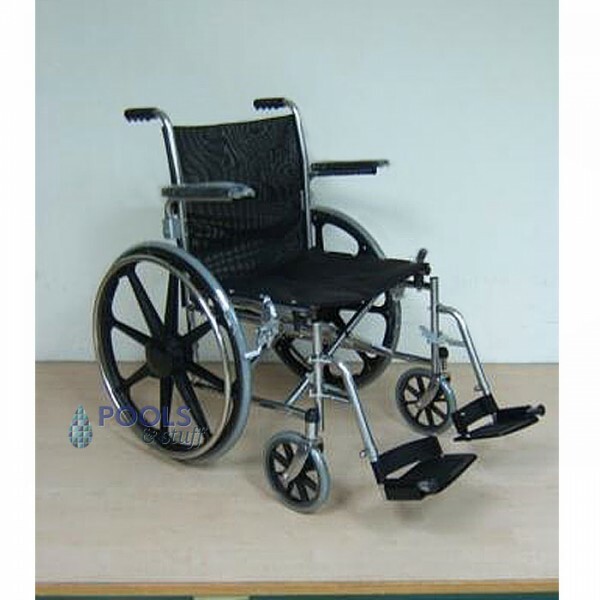 Is the arm height adjustable on the stainless steel wheelchairs? 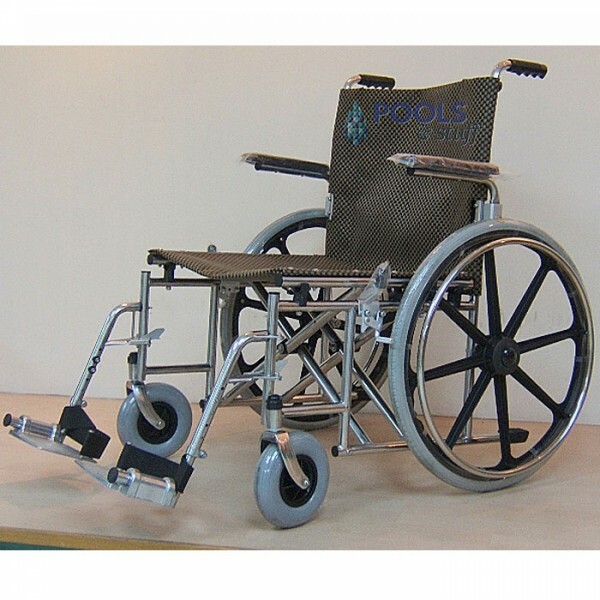 On the collapsible models of the stainless steel wheelchairs, the arms swing in and out, but there is no height adjustment.